Deal in one week with all business which have been hanging over your head! 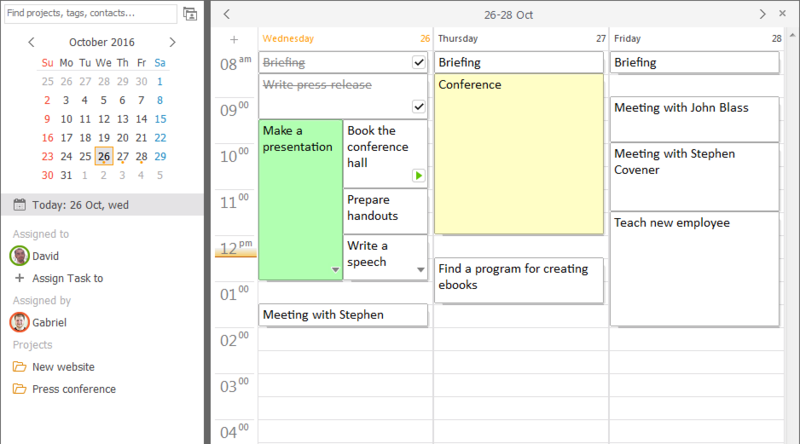 LeaderTask Daily Planner 12.5.9 was available as a giveaway on September 14, 2017! 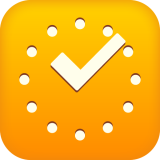 LeaderTask is a user-friendly task management app. 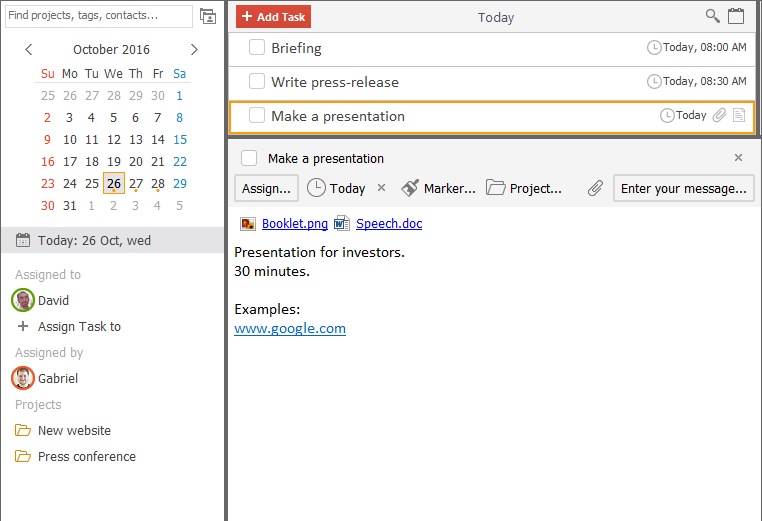 Create your lists of tasks for every day, arrange them by projects, divide tasks into subtasks, set reminders for important tasks, attach documents to tasks, assign them to your friends/colleagues and a lot more! We have carried out the most detailed comparison of LeaderTask with two strongest competitors! All time management systems are supported: GTD, Autofocus, Superfocus, Pomodoro Technique, Do It Tomorrow, Stephen Covey System and so on! 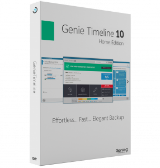 Please note: the license is provided for 1 user for 1 year (100% of features are available). One person can use the app on any number of devices (Windows, Mac, Android, iPhone, iPad)! Free lifetime app updates as well commercial usage is included! How would you improve LeaderTask Daily Planner 12.5.9? Let me make a very small suggestion to the developers. During installation, why can't you not allow for a local install only or online install only or both options? I mean what I am getting at is this: charge an annual fee for those who use your online service vs those who only install the software locally. - Almeza thanks for the giveaway but I am going to pass on this one. I do not want to be locked into a yearly subscription for ANY software. Hasta-La-Vista BABY!! There are just so many similar products free and I do understand that you have a free version but still just not as good as some of the free versions. sorry price way to high to even consider using it even free for limited time. 1 year isnt a giveaway, it's a demo. Pass. The whole year of the full license on a free basis — very giveaway. LeaderTask is a service which use of the majority of functions demands investments. sad, Hello! The whole year of the full license on a free basis — very giveaway. LeaderTask is a service which use of the majority of functions demands investments. I currently have the lifetime version. How can I install the new giveaway version to try it, without losing my current installation? U can try the GAOTD LeaderTask version without losing your current LT by renaming of LeaderTask folder in documents. For example you current folder can be "LeaderTaskActual", and the GAOTD version will be installed like a new program. But! U have to create the new account for LeaderTask GAOTD use. Don't forget about! Rich, hello! U can try the GAOTD LeaderTask version without losing your current LT by renaming of LeaderTask folder in documents. For example you current folder can be "LeaderTaskActual", and the GAOTD version will be installed like a new program. But! U have to create the new account for LeaderTask GAOTD use. Don't forget about! Does not actually include the year long subscription! You can use that license the whole year long (for 1 user). Lydia, hello! You can use that license the whole year long (for 1 user). LeaderTask, it says expired, when I login in. I can use only the limited functions. LeaderTask, Mine says expired as well. If you had got a LeaderTask before downloading the app from giveaway you have to log out that user. Then download please LeaderTask from GAOTD and create the new account for using the program. P.S. If you don't want to lose some data of your previous use — backup will help you by this question. You will not lose all your tasks, projects, etc. nibo1978, hello! If you had got a LeaderTask before downloading the app from giveaway you have to log out that user. Then download please LeaderTask from GAOTD and create the new account for using the program. P.S. If you don't want to lose some data of your previous use — backup will help you by this question. You will not lose all your tasks, projects, etc. We also offer the free version of the program. It perfectly will be suitable for personal planning, compilation of to-do lists and other attributes for competent time-management. Very often we allow good discounts for our product, just monitor updates on our blog https://medium.com/leadertask-worldwide and you learn the first about opportunities to save your money! Well and of course, thanks for warm words to our team. It is very pleasant to hear! Sigrid.DE, hello! Very often we allow good discounts for our product, just monitor updates on our blog https://medium.com/leadertask-worldwide and you learn the first about opportunities to save your money! Well and of course, thanks for warm words to our team. It is very pleasant to hear! Scott Smith, The arrangement in the Program Files folder can cause problems in operation of application. Therefore the folder by default for LeaderTask is Documents. LeaderTask, I think, nowadays, every software permits to choose installation location. I Always install on an 1 Tb HDD. You made me install it on my rather small 128 Gb SSD . You MUST change this!! LeaderTask, I think, nowadays, every software permits to choose installation location. I Always install on an 1 Tb HDD. You made me install it on my rather small 128 Gb SSD . You MUST change this!! thanks anyway. LeaderTask, since when is it no longer standard windows desktop program design to install the executable binaries into a sub folder in the program files heirachy? It only causes problems if you try to put modifiable application data files in the same executable files folder heirachy instead of the per user appData heirachy or ProgramData heirachy. You only have problems with doing things the way Microsoft intended it to be done if you choose to ignore the rules and do not even try to learn how to develop programs for windows properly! Thank you for this perfect words! It's very important for us! LeaderTask will help you to be in time more, it is not expenditure, but investment into your efficiency, effectiveness and success. Sparky, hello! Thank you for this perfect words! It's very important for us! LeaderTask will help you to be in time more, it is not expenditure, but investment into your efficiency, effectiveness and success. Describe a password problem in more detail on 911@leadertask.com. Our support managers will quickly solve your problem. About the new version: in relevant LeaderTask there are much more functions, than in version 8. 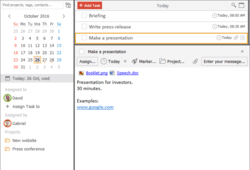 You can use it the whole year to be convinced of it: tags, colors, projects, contacts, subtasks. And it is only a small part of the list of our steep functions! The Major, Hello! Describe a password problem in more detail on 911@leadertask.com. Our support managers will quickly solve your problem. 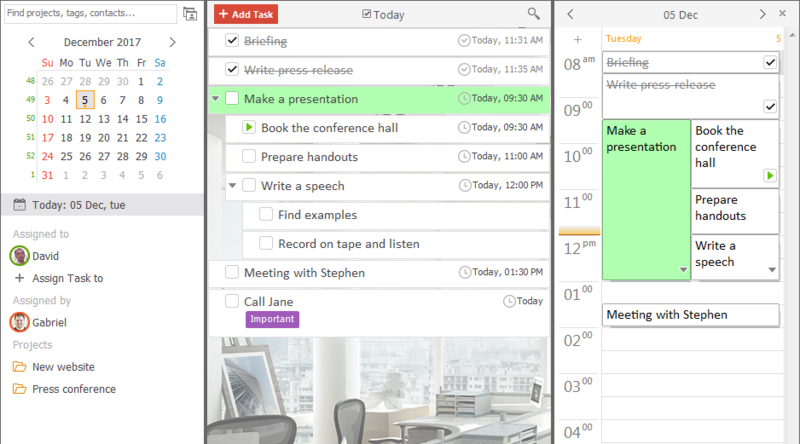 About the new version: in relevant LeaderTask there are much more functions, than in version 8. You can use it the whole year to be convinced of it: tags, colors, projects, contacts, subtasks. And it is only a small part of the list of our steep functions! LeaderTask, I have sent my problem to 911@leadertask.com along with two screenshots of the expired problem. Let's see how you handle it.